On December 11, 2014, Carleen was working as a home health attendant. As she was leaving a patient’s home that evening, she slipped and fell from the ramp coming down from the front door. She reached for the rail to catch her fall, but ended up tearing her shoulder and injuring her knee and back when she fell. It had just finished snowing and the ramp was not shoveled or salted. 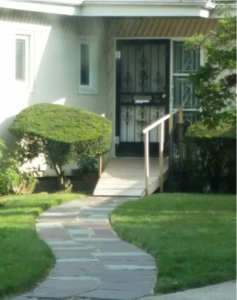 In addition, the ramp was not code complaint because it was too steep and didn’t have handrails extending all the way to the bottom. After falling, Carleen managed to get up to walk to the bus stop. Unaware of the extent of her injuries, Carleen went home to see if she could take care of her injuries from there. When the pain worsened, Carleen went straight to the doctor. As a result of the accident, Carleen was required to have left shoulder arthroscopic surgery and is a candidate for further surgical intervention in her left shoulder arm. She also suffered injuries to her spine and left hip, knee, and foot. She was unable to return to work and was confined in her bed for two months and confined to her home for four months. While at physical therapy, Carleen met another patient that was also involved in an accident. They exchanged accident stories and became good friends. The patient recommended her own attorney to Carleen who happened to be The Case Handler. 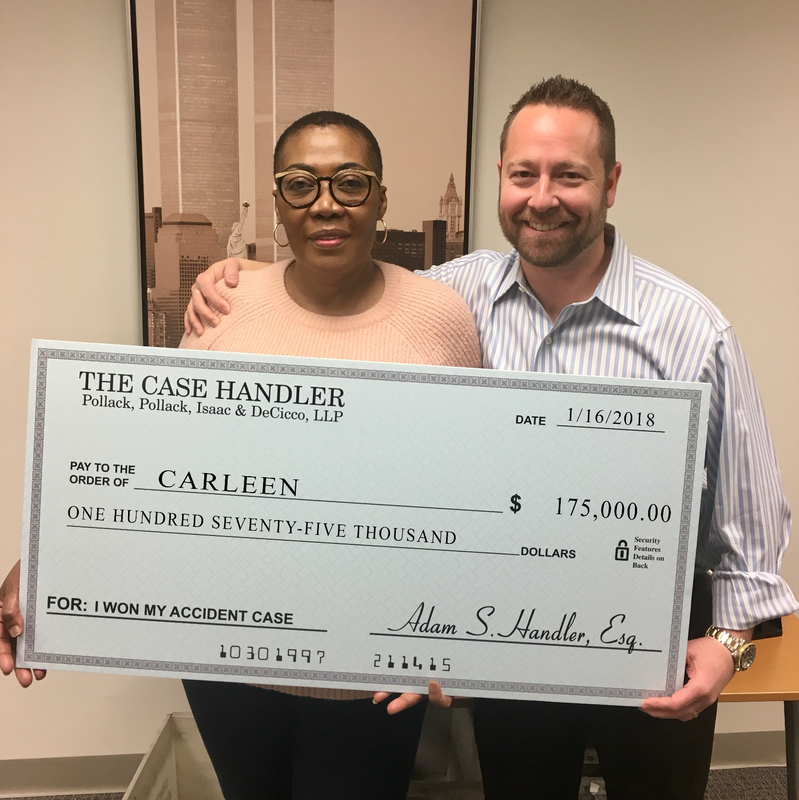 Thanks to her friend’s recommendation, Carleen received $175,000.00 settlement through the fierce representation of The Case Handler team!